Here are the ratings for the Mobbed TV series. 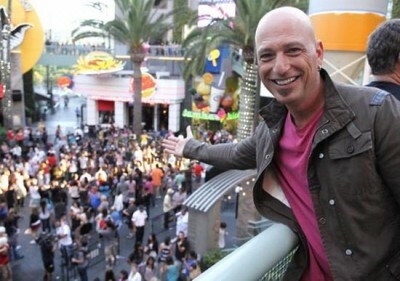 Host Howie Mandel puts a hidden-camera spin to capture reactions to “flash mobs.” The first season of Mobbed typically airs on Wednesday nights on the FOX network. These are the TV show’s ratings for the 2011-12 season, the best way to tell if Mobbed will be cancelled or renewed for season two. 3.0 in the demo (+7% episode-to-episode change) with 8.47 million; third place at 9pm, second at 9:30pm. Season average: 1.96 in the demo with 5.49 million. Demo average rank: #5 of 7 non-scripted TV shows on the network (Fall 2011 – Spring 2012). 2.8 in the demo (115% episode-to-episode change) with 7.87 million; first in the timeslot. Season average: 1.70 in the demo with 4.75 million. 1.3 in the demo (+8% episode-to-episode change) with 3.42 million; fourth in the timeslot. Season average: 1.33 in the demo with 3.71 million. 1.2 in the demo (-20% episode-to-episode change) with 3.06 million; third in the timeslot. Season average: 1.35 in the demo with 3.86 million. 1.5 rating in the 18-49 demographic with 4.65 million total viewers; third in the timeslots. Season average: 1.50 in the demo with 4.65 million. Reference point: The March 2011 special attracted a 3.8 rating in the 18-49 demographic with 10.82 million total viewers. What do you think? Do you like the Mobbed TV series? Ratings not-withstanding, do you think it should be cancelled or renewed for a second season? I loved Mobbed. It needs more promotion. Many people never heard of the show. You can’t fairly judge a show’s success based on low viewer ratings if it only airs 4 or 5 shows and little promo. I hope it returns! Mobbed is the most heart warning program on TV today, and I LOVE IT! I love the show and it should not be cancelled. I think it is the coolest thing! Loved every episode I saw. I was telling everyone about it. I would even like to be in it to get my 20 year old daughter back into my life. We have not talked for about 4 months now. OMG! One of the best shows I have seen for a long time! You Go Howie! I am sooo crying! Happy Tears!